How does a young conductor get from the first steps in front of an orchestra to being a maestro? Where, and how, do they practice? I met up with the young conductor Rachael Young as she looks forward to conducting the Orquesta Sinfonica de Chile in October and the Deutsches Kammerorchester Berlin in May 2016, to talk about our obsession with youth, ritual humiliation, women conductors, the Russian school of conducting, audience behaviour, the importance of silence and meditation in concerts, audiences in Chile and much else besides. Rachael originally trained as a cellist, both in her native New Zealand and in the UK, and had a career as a cellist before becoming a conductor. She still plays the cello but now only with family and friends. She admits that she is the sort of person who needs to concentrate on one thing and that is now conducting. She always wanted to be a conductor, she loved the orchestral repertoire and as a cellist thought it would be wonderful to stand in front of the orchestra. Now she realises that playing cello in the orchestra was good experience for a young conductor to have. But to put the idea into practice, you first need to find a teacher and then find a way to make it happen. It is an expensive business, and you need to be able to devote time to it before you are able to earn any money. Rachael was only able to start studying to be a conductor when she moved in with her partner and he gave her the support to do it. She studied the cello at school and though she had scholarships to help her pursue her studies, she was never in a position to pursue conducting. 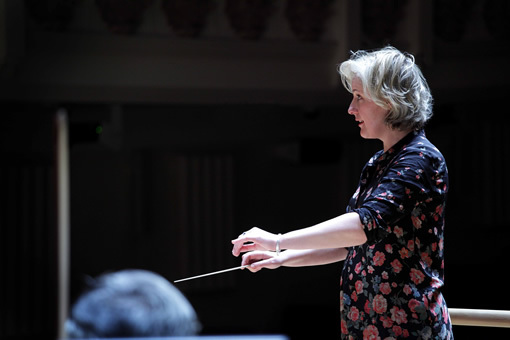 Because of this, she started as a conductor at a later age, but she feels that conducting is something which grows with age so 50 and above is where it starts to get interesting. That said, she feels we are becoming more age obsessed. The age of musical directors appointed has come down from 40 to 28 and qualities which come with age are less valued. When Rachael did start studying after waiting so long she found a teacher by a happy coincidence. She was in a masterclass in Estonia and talked to Paavo Järvi who recommended his own teacher Leonid Grin, who does some teaching at the same masterclass. Learning to conduct can seem puzzling to a singer or instrumentalist, after all you have to instrument to practise with. When I comment about this, Rachael laughs and refers to 'ritual humiliation' in front of an orchestra until you understand what it is about. She did a masterclass in Estonia recently with Leonid Grin where the orchestra was an excellent amateur one. They were of a standard that they needed a conductor (unlike some professional orchestras) but were responsive to the conductor. She felt that this was the best way to learn conducting, adding 'If its good enough for Karajan'. Inevitably we talk about the issue of women in conducting, and the press coverage. She comments that it is pretty obvious that there can be issues, but that she was lucky to have a teacher who looks at talent and possibilities rather than gender, and people around her like Paavo Järvi who think there is no issue. But some male conductors deeply believe that women cannot or should not conduct (Rachael and I have a discussion about whether it is cannot or should not). Rachael feels we need to look at the qualities of the human being not their gender, and some men do not have the qualities needed to be a conductor either. She adds that she finds this unreasonable and illogical. But the solution is difficult, Rachael finds pros and cons to the idea of quotas and is still not sure. She adds that less competent women are more visible than less competent men, and reiterates that we should look at the qualities of the human being, regardless of gender, background or ethnicity. 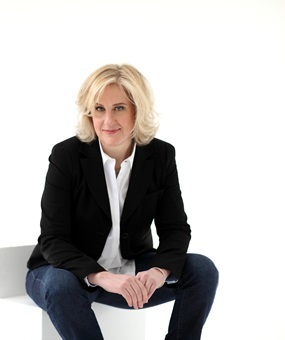 Her favoured repertoire is romantic, she has had feedback that she is a romantic soul and loves this repertoire plus the early 20th century symphonic music including Shostakovich and Prokofiev, about this latter she is passionate. Her teacher, Leonid Grin, was schooled in Soviet Russia at the Moscow Conservatoire. Hence she was trained in the Russian School of conducting, though she points out that they really have several different schools. It is a system which starts at the ground, how you stand. You create a sound within yourself, be in contact with yourself and only then mould the orchestral sound. There is strong sense of characterisation of the music, with a dramatic emotional and psychological charge. The result is the opposite of a tableaux, bringing a human dynamic into music of composers like Tchaikovsky. Other schools of conducting are different, so for instance the Finnish school uses smaller, minimal gestures. She regards the audience as being essential, at least a third of the whole experience. She feels we need people with open hearts to communicate to and that no matter good recordings are, live concerts are irreplaceable. There is concern over audiences, but Rachael thinks that classical music is also something you come to when older, and that can explain the age of audiences. But with younger people there is a big issue around audience behaviour. Some people would love to move around but Rachael asks 'can you hear the music, can other people?'. For her silence is a big component both oc concerts and of life. She feels we need to acknowledge that this is part of the dynamic, and think how to bring quietness both to life and to audiences. We discuss Rolf hind and his mindfulness opera Lost in Thought (premiered by Mahogany Opera Group at LSO St Lukes, 25-27 September 2015) and Rachael stays she would love to have meditation before a concert. It would be an interesting thing to have five minutes focussing on breathing, including the orchestra too. She wonders how it would change the engagement between both and would love to explore. She is not a fan of extraneous visuals at concerts, and feels there should be room for people who want to open themselves up to listening and we should be looking for the best way to achieve this. A concert needs to start from silence, but it does depend on the music and she cites Kleiber conducting the Vienna Philharmonic Orchestra in Strauss waltzes. The conductor needs to gauge the aesthetic of the music and be respectful of it. For her the cultural aesthetic of the concert is important, as well as the fact that classical music is bigger than all of us. In fact the problem isn't classical music, the problem is our engagement with it, where it is purely entertainment or something different, and though entertainment has its place, for Rachael it has become too dominant. I asked her what audiences were like in Chile, where she has assisted Leonard Grin and where she conducts in October. She describes them as a group of people with open hearts. Her great-grandmother came from Chile so she feels very at home. The audience is very musical, well educated, they love music and it is important to them. She feels this is similar in Russia, which she describes as another musical nation. She returned home to New Zealand last year and has worked with the Auckland Philharmonia and the New Zealand Symphony Orchestra, both of whom she describes as progressing marvellously. And Christchurch Symphony, devastated by the earthquake, is doing its best hough they do not have a concert venue. For a country of around four million people, there is a small bu surprisingly vibrant and loyal audience. And the New Zealand Symphony has just appointed Edo de Waart, probably the biggest name conductor they have ever had. Looking to the future I ask Rachael how she feels about running an orchestra, which is something not every conductor is drawn to or does well. Rachael would love it, running an orchestra fascinates her and she feels it has the same dynamic as conducting. You need to engage with humanity, and create a vibrant sense of community. But also an orchestra serves the community and can be a very important and potent symbol. Rachael Young conducts the Orquestra Sinfonica de Chile in Santiago, Chile on 23 & 24 October 2015 in Tchaikovsky Suite from the Nutcracker and Dvorak Symphony No. 7. and the Deutsche Kammerorchester Berlin at the Philharmonie, Berlin on 18 May 2016 in Part Fratres, Schnittke Piano concerto (soloist Viktoria Postnikova), Arensky Variations on a theme of Tchaikovsky and Tchaikovsky Serenade for Strings.